We know that good communication is key to growing a successful agency. But coordinating everyone when organising property maintenance appointments, arranging access or chasing reports for lots of properties can be a real headache. And Juggling landlords, tenants and contractors whilst keeping on top of tenancy paperwork is tricky. 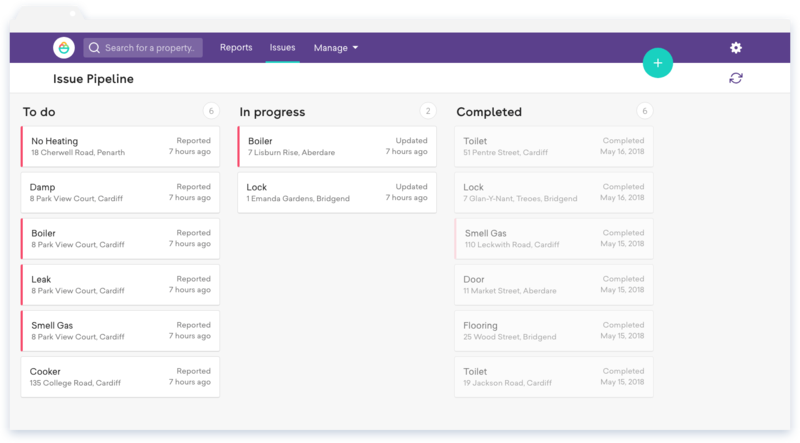 Sorbet property maintenance software boosts productivity by centralising all of your communications, streamlining and automating manual, repetitive processes and tasks. 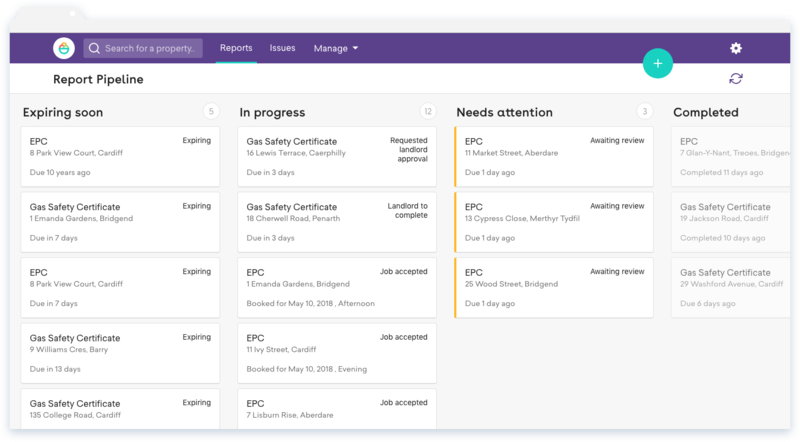 Team members can visually track job requests, manage reports and communicate with all stakeholders…all in real-time, wherever they are. Keep on top of daily tasks and get notified when something needs your attention. 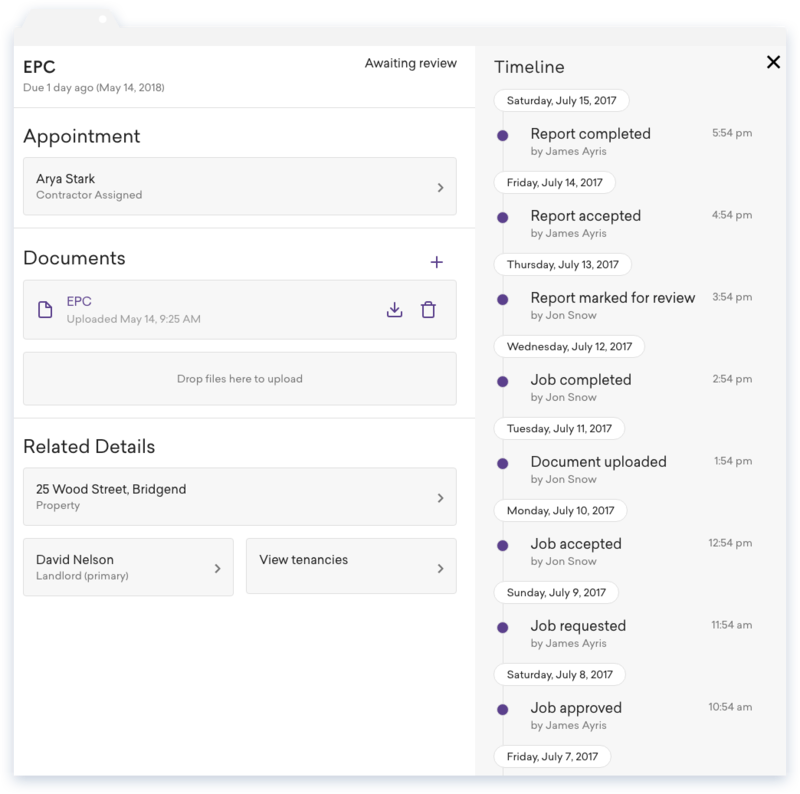 Track issued jobs and tenant requests as they move through your workflow. Issue jobs with detailed descriptions to your contractors in just a few clicks. Sorbet can automatically book your preferred contractors when regular reports, certificates and inspections are due. Contactors can send back completed reports, certificates, photos or even invoices from on site or in the van to be approved. 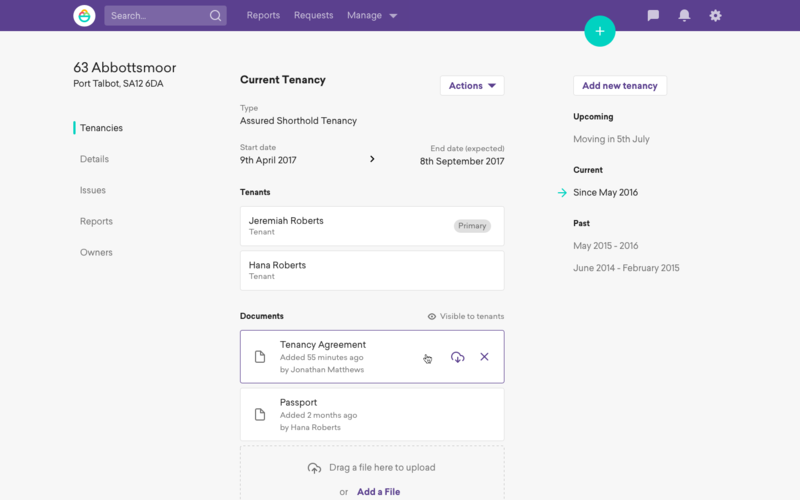 Tenant details are only availble to contractors whilst the job is in progress and are automatically deleted from their phone once the job has been completed. No more printing costly move-in packs or paying for postage. 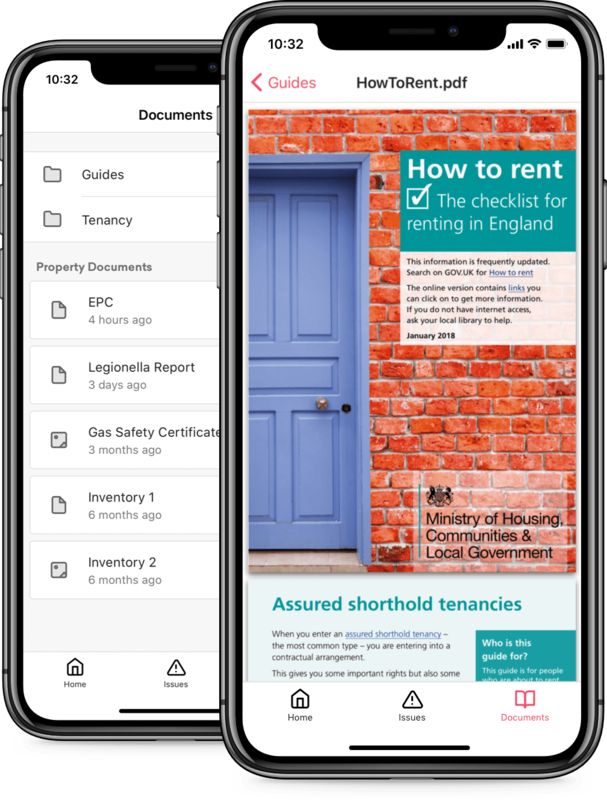 Store all of the important tenancy stuff for your tenants in one place - available 24/7 in the Tenant's branded smartphone App. New How to Rent guide? Simply drag and drop the file to Sorbet and all your tenants receive the latest copy keeping you compliant. It’s best practice to keep detailed written records of all communications between your landlords, tenants and contactors…but this isn’t always as easy as it sounds, there are often breaks in audit trails, especially when contactors arrange access and communicate with tenants directly via email or phone call. There’s no need to copy and paste emails or transcribe phone call conversations anymore, Sorbet compiles and stores a full audit trail of everyone’s activity. A full audit trail of activity is maintained including a record of the many automations that help ensure you stay compliant with today's many regulations. Documents, contacts and even handy guides are always available through the branded tenant app. Get instant requests and maintenance reports from your tenants 24/7 that include photos, helping you prioritise and resolve any issues as fast as possible. Tenants are sent automated service reminders so they will always know who is coming to their home and the expected timeframe they will arrive. 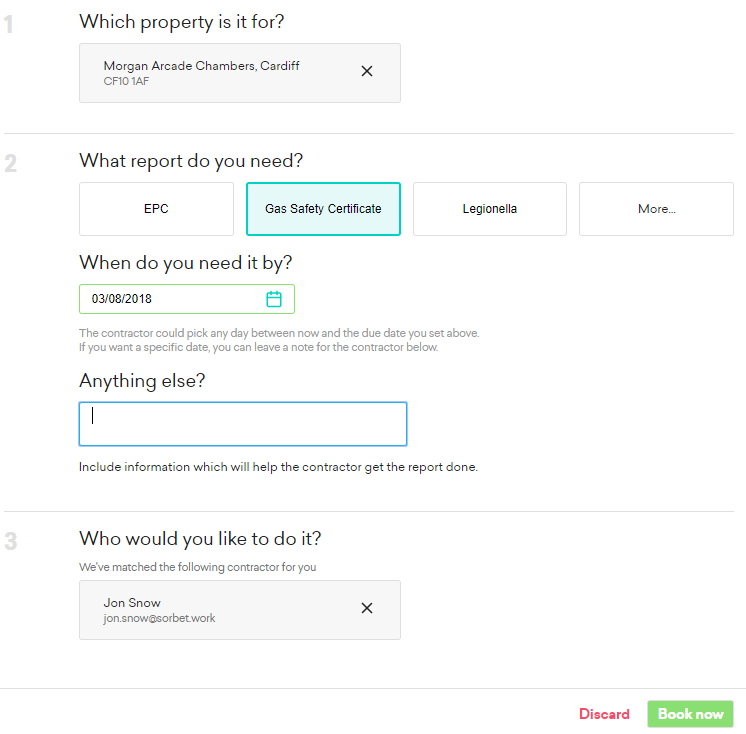 Getting started with Sorbet is easy, we can import your property, landlord and tenant information in from either an integration with one of our property management software partners* or from a .CSV file.